Geelong is Victoria’s second largest city, located on Corio Bay, and within a short drive from popular beach-front communities on the Bellarine Peninsula as well as being the gateway to the famous Great Ocean Road, which begins just south of Geelong at Torquay. The city itself boasts a large commercial centre which extends down to the foreshore, offering visitors the chance to explore popular beach-front attractions such as Eastern Beach with its swimming enclosure, the Steampacket Gardens, the dining options available on Cunningham Pier, and several coastal walks, dotted with collections of bollards depicting historic characters. Elegant architecture, colourful gardens and parks, and the backdrop of Corio Bay are all symbolic of what locals refer to as the “city by the bay”. Locations of interest for visitors include the National Wool Museum, the Old Geelong Gaol, the Botanic Gardens at Eastern Park, and a number of other museums, galleries and historical buildings. The Royal Geelong Show is held each year at the Geelong Showgrounds. Geelong’s History is preserved through both the Geelong Historical Society, and the associated Geelong Heritage Centre for which a substantial new building construction of which commenced in 2015. Lara is a suburb of the City of Greater Geelong, 18 km north-east of the Geelong CBD, inland from the Princes Freeway to Melbourne.Hovell’s Creek runs through Lara and ends at Limeburners Bay, a small inlet of Corio Bay. Owing to the poor soils and low runoff inherent in Australian streams, along with the fact the region is the driest in southern Victoria because of the Otway Ranges’ rain shadow (receiving about 425 millimetres (17 in) per year), the creek is basically ephemeral and is not useful as a water source. Granite peaks known as the You Yangs, 4 kilometres north of Lara, rise dramatically to a height of 352m and can be seen from most areas of Geelong. Lara has a post office, two banks, a clothing/gifts store, a butchers and a Coles supermarket. On 22 April 2015, the dated Woolworths supermarket was closed for redevelopment, and a much larger Woolworths opened on the site in 2016. The Coles supermarket opened in December 2014 as part of the town centre expansion on the site of Austin Park, as well as a re-alignment of Waverley Road to create a more spacious site for the supermarket and the re-configuration of the park. There are four real estate agencies and one news agency. The Lara Library opened in 2011. The most notable industry in Corio is the Shell refinery, which opened in 1956. In February 2014 the refinery was sold to the Swiss-based oil company Vitol, which has branded its Australian operations as Viva Energy Australia. The suburb has an Australian rules football team, founded in 1974, competing in the Geelong & District Football League. Also, linked with the Corio Sporting Club is a cricket club, a little league founded in 1977, and the netball club. Corio is a “working class” suburb, adjacent to and incorporating industrial estates – with 21.3% of its employed residents of age 15 years and over nominating ‘Labourer’ as their chosen occupation (compared to 10.5% in the whole of Australia). Numbers occupied as Technicians, Trades Workers, Machinery Operators, and Drivers are also higher than the national average. The three most common forms of dwelling were (in decreasing order): a separate house, a flat or apartment and a semi-detached house. Residents enjoy generous land parcels, ample backyards with single story weatherboard housing built during the 1960s on 600 to 800 square metres blocks, progressively brick based sud-division buildings and double story dwellings on approximately 300 square metre lots are beginning to become more common, with higher rise especially where views of the peninsula from a higher rise viewpoint are applicable. In August 2010 the median sale price of houses in the area is $184,500 up 15% from the previous year but generally raising by a modest 10% per year on average. 2002 saw a 38.9% growth in real estate value. Demand for renting a home in Norlane is good with an expected rental return of $180 to $220 per week for a 3 bedroom house in comparing the price of property it is a reason why some choose to invest in Norlane. Cars are the preferred method of transport in Norlane, followed by walking and bicycles. North Shore railway station is located in Station Street, Norlane on the south eastern border of the suburb, with V/Line providing frequent rail transport on the Geelong line to both Melbourne and Geelong central business districts. The train between Geelong and Melbourne stops at the station in the south-east corner of the suburb. The High Street shopping strip is the largest strip shopping centre in Geelong, stretching from Barwon Heads Road to Roslyn Road. The shopping strip was upgraded in 2006, with power lines being put underground and the extensive planting of street trees. Belmont has a large number of reserves and a number of local sporting clubs. The extensive Belmont Common area follows the Barwon River to the east of the suburb, and has a path along both sides of the river for people to utilise on foot or bicycle. The Common also houses the Barwon Valley Public Golf Course, golf driving range, a number of baseball fields, motocross course, indoor and outdoor shooting ranges, dog obedience school, and cricket and football ovals. The suburb has an Australian Rules football team, South Barwon Swans, competing in the Geelong Football League and the Belmont Lions team competing in the Geelong & District Football League. Drysdale is a rural township near Geelong, Victoria, Australia, located on the Bellarine Peninsula. The town has an approximate population of over 3,700. Drysdale forms part of an urban area, along with nearby Clifton Springs, that had an estimated population of 13,494 at June 2016. A popular youth music and performing arts venue, affectionately labelled ‘The Potato Shed’ is located in the back of Drysdale. The industrial size venue is the site of ‘Battle of The Bands’, a yearly music festival which has seen a number of local bands make a name for themselves in a popular setting. 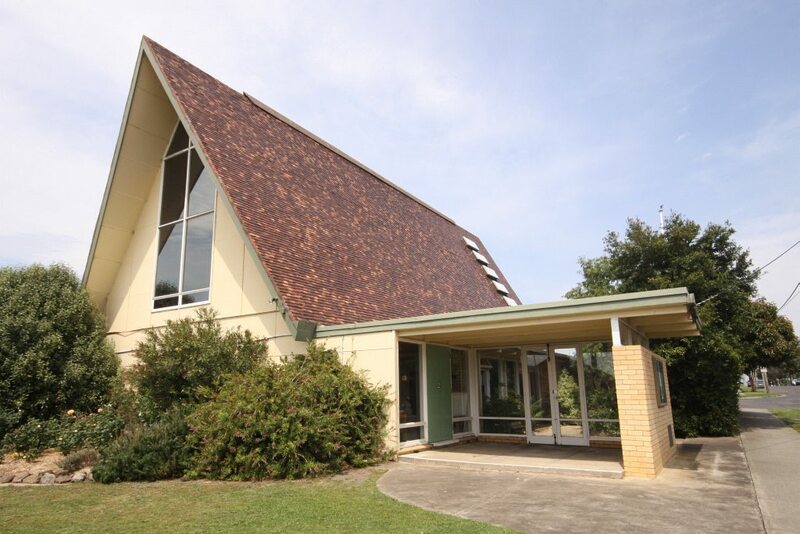 Drysdale has several primary and high schools, including Saint Ignatius College, the senior campus of Bellarine Secondary College, and a campus of Christian College. The local football club is the Drysdale Hawks, who play Australian Rules Football and compete in the Bellarine Football League.The Hawks were formed in 1879 and have won 15 premiership titles, the last in 2010. The Bellarine Rail Trail also runs through the town. The local Cricket club is also named the Drysdale Hawks.